During the week of September 11, approximately 85 school districts throughout Ohio released a more comprehensive assessment of their districts’ performance to supplement the state’s district report card. Because the report card focuses primarily on how well students perform on state mandated assessments, those districts felt it was important to once again inform their communities of this additional information to provide them a greater understanding of how their district is addressing and meeting community expectations. Called a “Quality Profile,” the report includes additional accountability measures that define a high quality education that are not included in the state’s report. See Little Miami's Quality Profile. 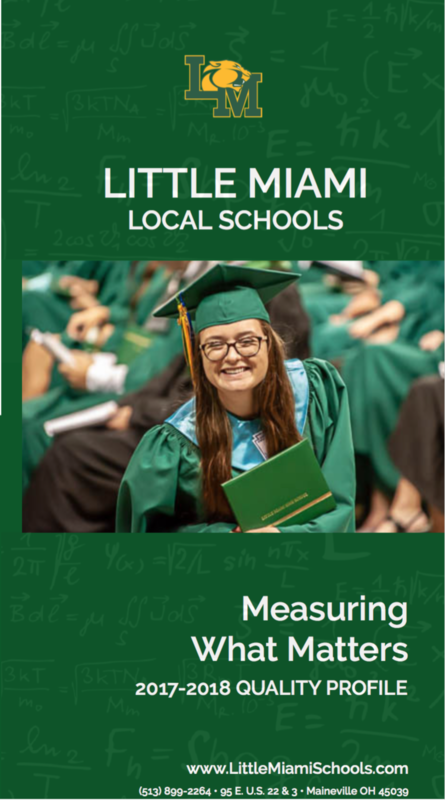 This year's Quality Profile will also be mailed to the residents of the Little Miami School District. The Quality Profile helps to evaluate the effectiveness of a school district beyond standardized testing and other statistical measures. 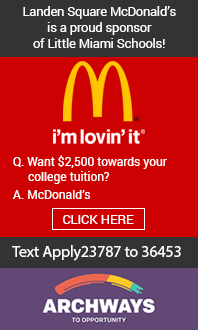 The Profile covers such areas as academics, arts, student activities, fiscal stewardship, parent and community involvement, and student services. Now in its fifth year of development, and being released statewide for the fourth time, the Quality Profile is sponsored by the Alliance for High Quality Education, a statewide education consortium that works to improve educational opportunities for all students and to represent member districts on matters of educational policy and funding.